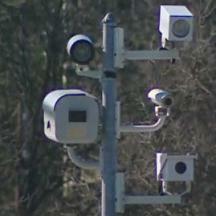 The group Maryland For Responsible Enforcement is regrouping to fight speed cameras county-by-county. The effort to force the recently passed Senate Bill 277, authorizing statewide speed cameras, was unsuccessful because under Maryland's extremely stringent rules it was necessary to collect a very large number of signatures within a very short period of time after the passage of the new law. However SB277 still requires each county to pass local legislation authorizing the use of speed cameras in each individual county. This opens up the possibility to stop that local legislation from passing. There will also be efforts to force the cameras to referendums at a county level, which requires fewer signatures (5,000 vs 54,000) and does not have the extremely strict time constraints. No speed camera program in the US has ever survived after being successfully forced to a popular referendum. However MRE needs volunteers to get organized for this effort now. Please visit the MRE Website and contact them if you wish to help.